The march to episode 200 continues with episode 198. Rich shares his thoughts on 9/11 and takes delivers his usual vitriol to uninvolved parents and Fox News. Frank Mir heading to light heavyweight? Wrestling is back in the Olympics! What does Batman have in common with Megaman? How does the iPhone 5S affect gaming? Wizard of Oz series heading to the small screen? J.K Rowling back in the Harry Potter universe! A large majority of our writers have returned to school so as usual we are looking for talented and opinionated individuals to add to our team. We have openings in all categories and have a minimum requirement of four articles a month and some good writing skills. WordPress and Windows Live Writer experience are a plus. Writers get access to comics, hardware and software when available. This is not a paid gig but if you are looking to get your work out there you're more than welcome to join us and get your work seen. Our very own Jay Santy is doing a Madden League. Contact him via his gamertag RedMza22 and let him know you heard about it on air. Ript Apparel, Superhero Stuff and Busted Tees are just some of our advertisers. 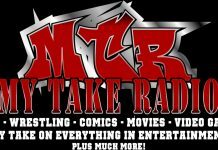 Every banner click and purchase you do via our site and their sites helps us and allows us to get better equipment and grow the show . You can also shop via the MTR Amazon shop which helps us as well. 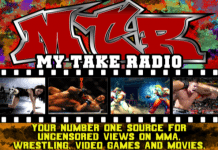 If you have any feedback or questions you can now call the MTR Feedback line 347-815-0687.